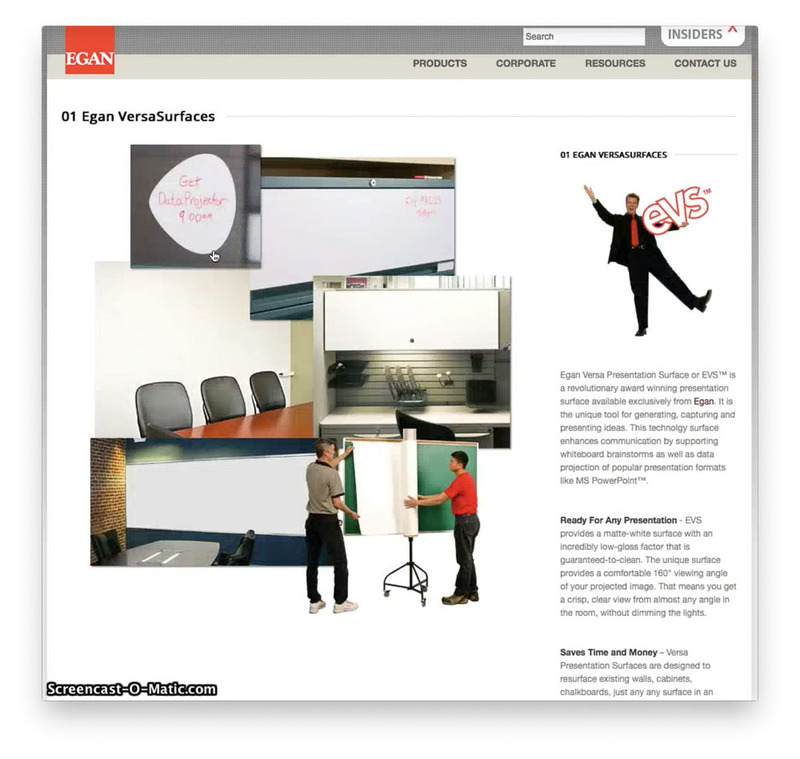 Learn more about the Egan.com site from that period here. 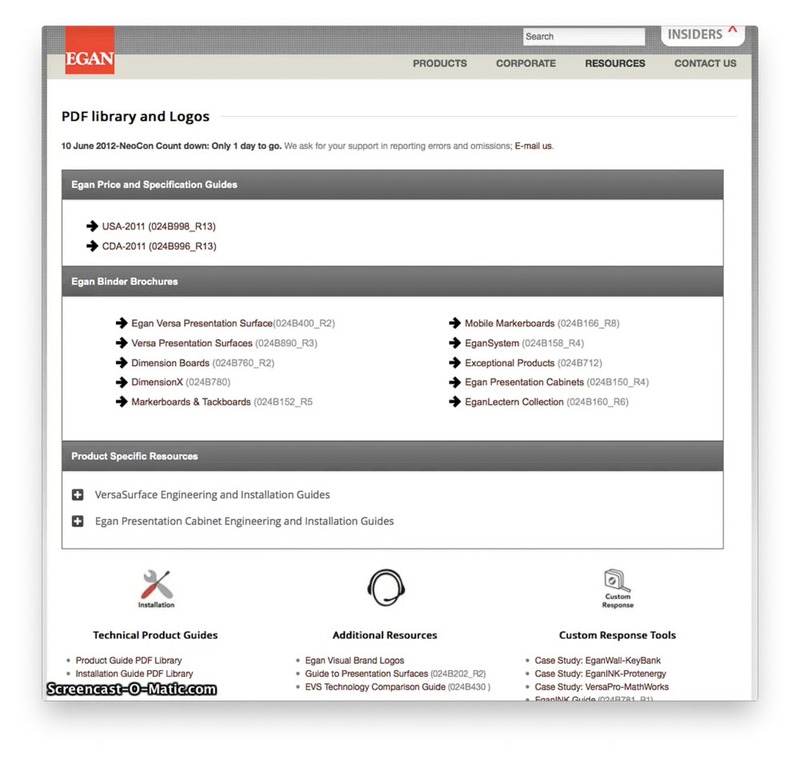 A “Tabzilla” style Resources Menu drops down from its hidden location at top of page. 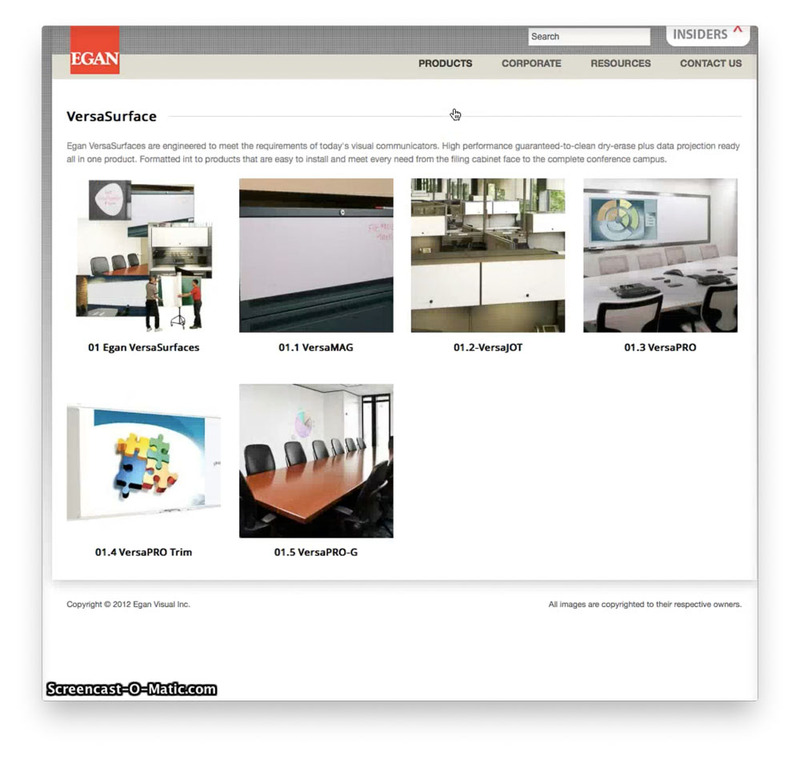 Catalog page introduces the complete product roster with a brief overview statement and image gallery. 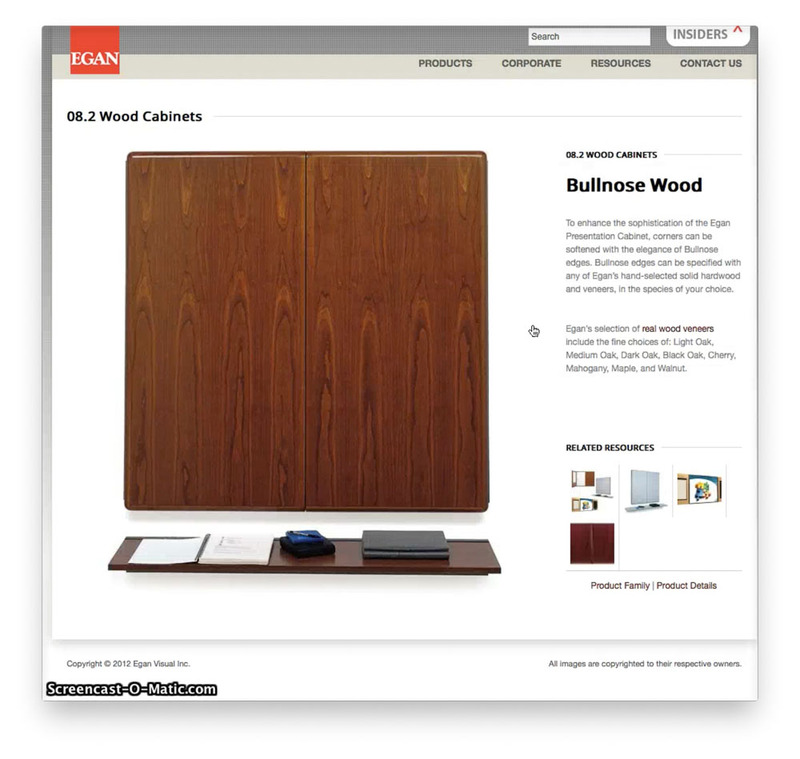 A large feature image supports all product pages. 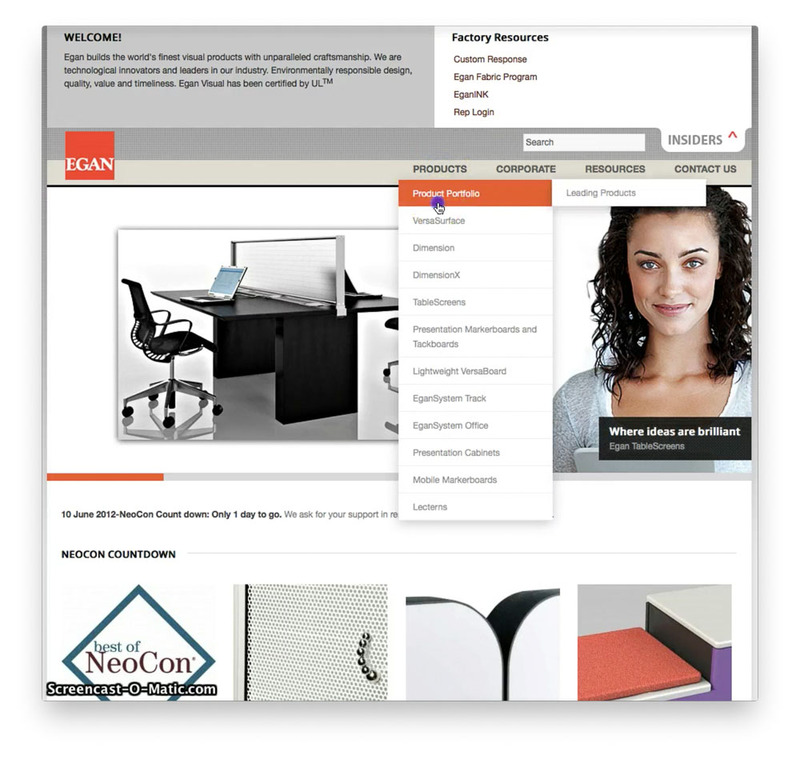 A matrix of related products and links is located bottom right. 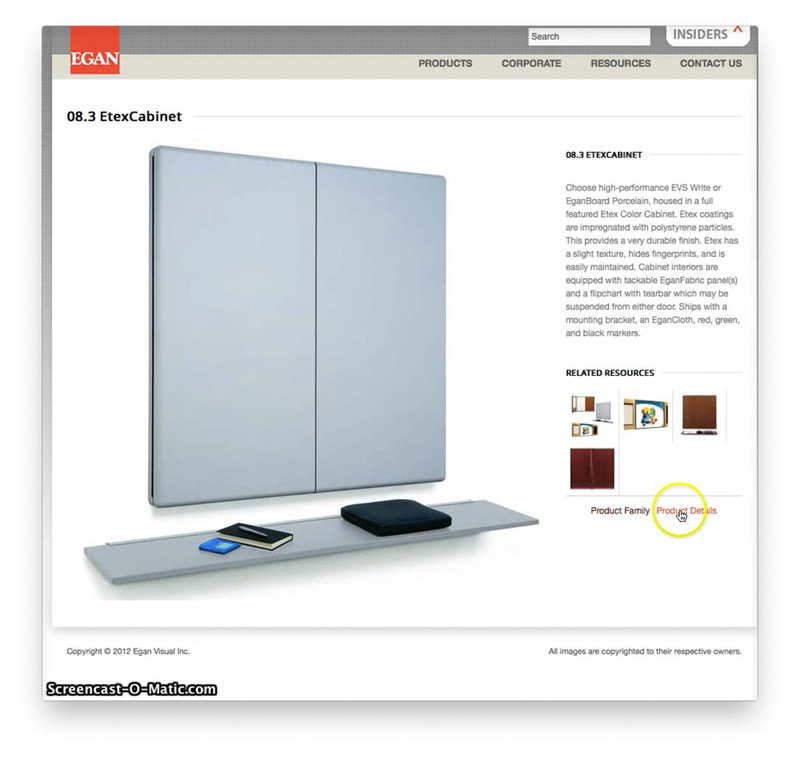 Attention to brand colors where possible unifies the design. 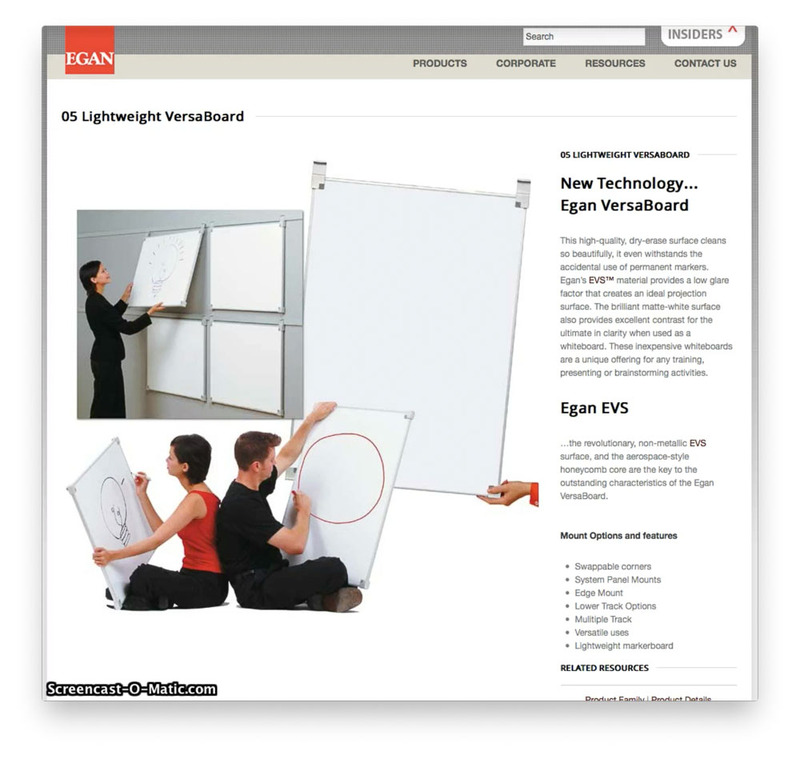 Egan Visual offers a proprietary dry-erase writing surface EVS, which is a light-weight and versatile alternative to porcelain. 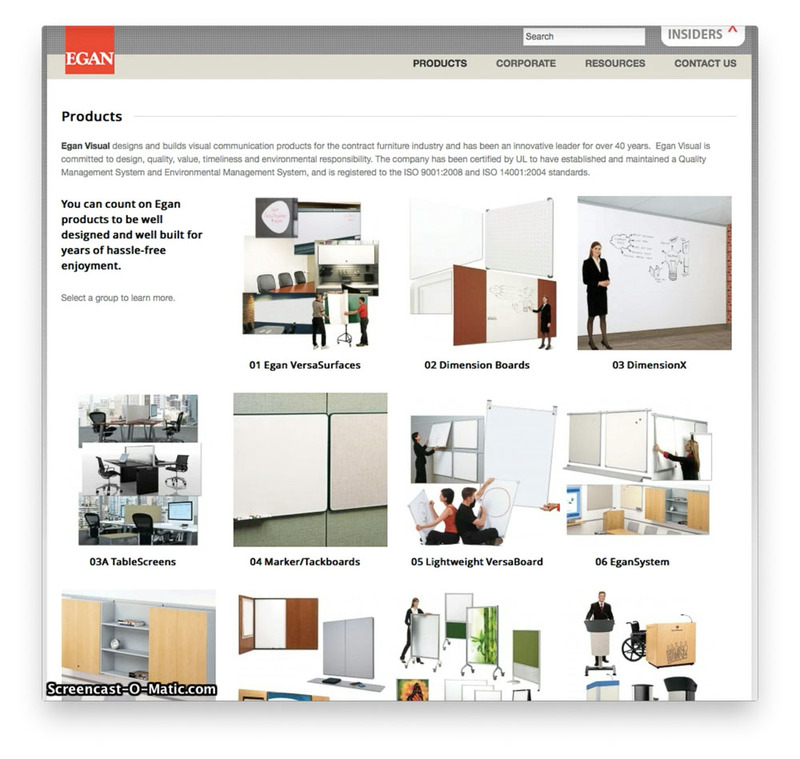 The Egan Presentation Cabinet is the legacy product which inspires the logo shape and color. 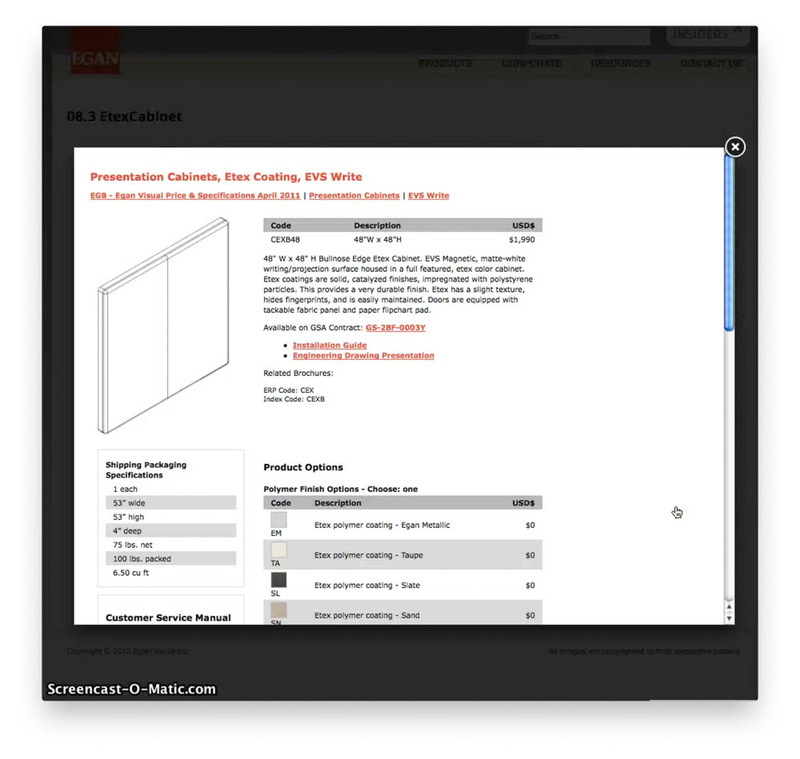 Each product page links to available product information in a visual gallery. 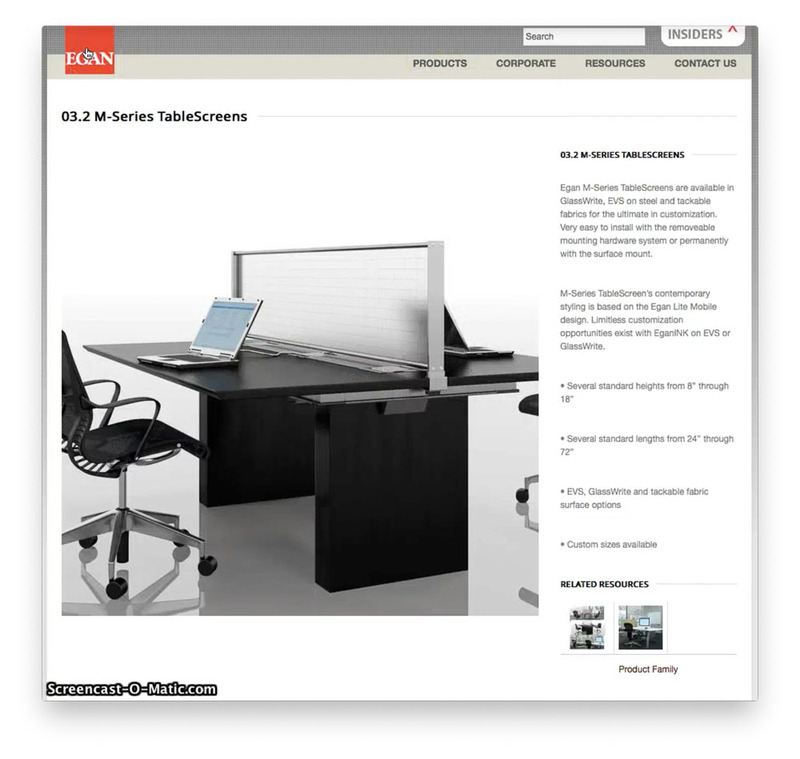 Each product page also links to detailed product specs and customizing options. 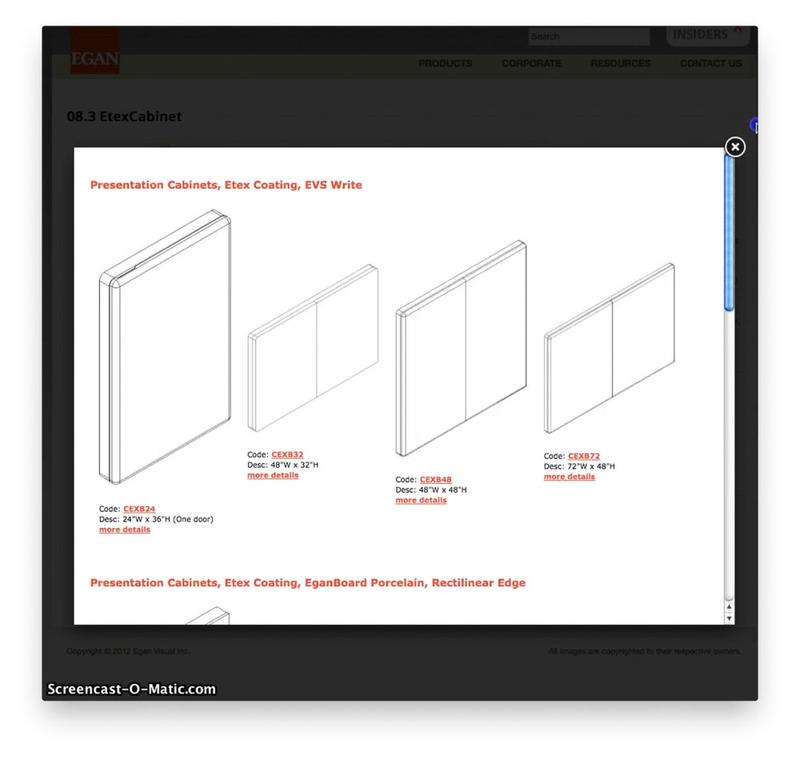 A collapsible menu gets a tremendous amount of information on screen. 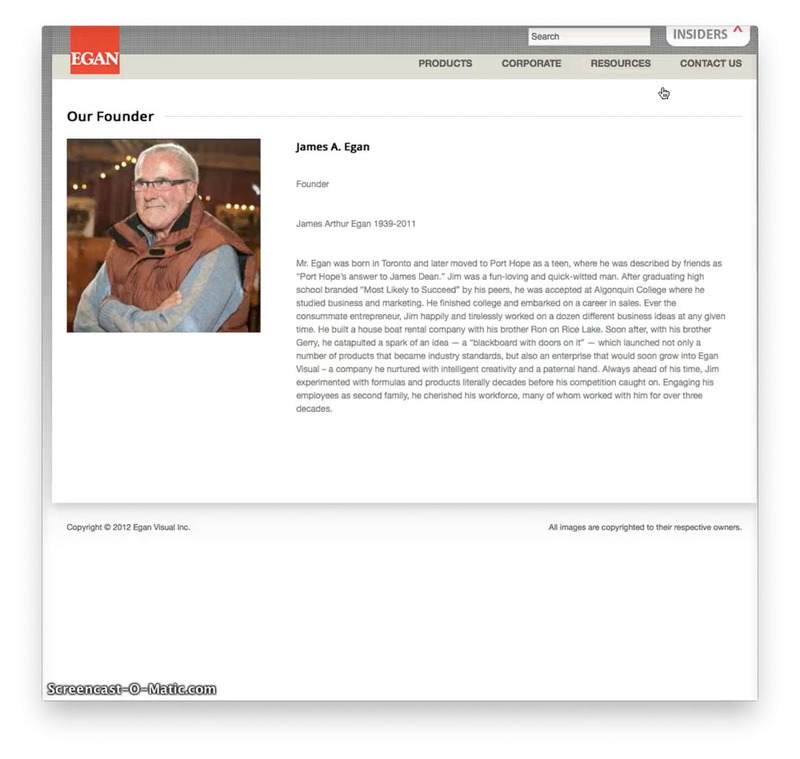 Jim Egan passed away prior to the development of this site. 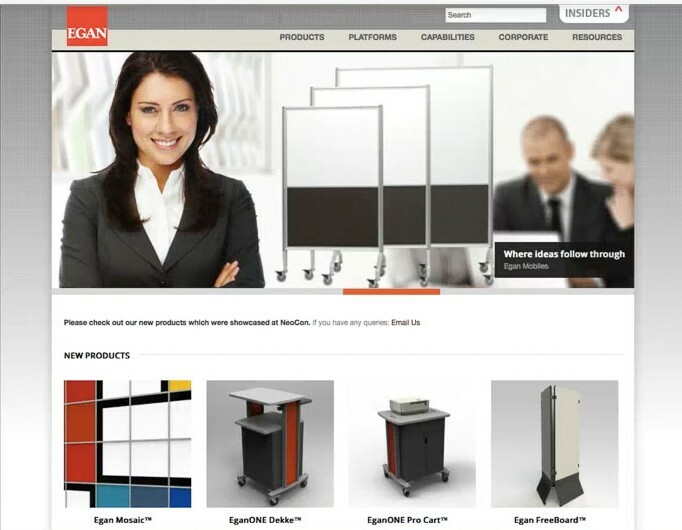 The company he founded in 1967 continues to thrive under new management. 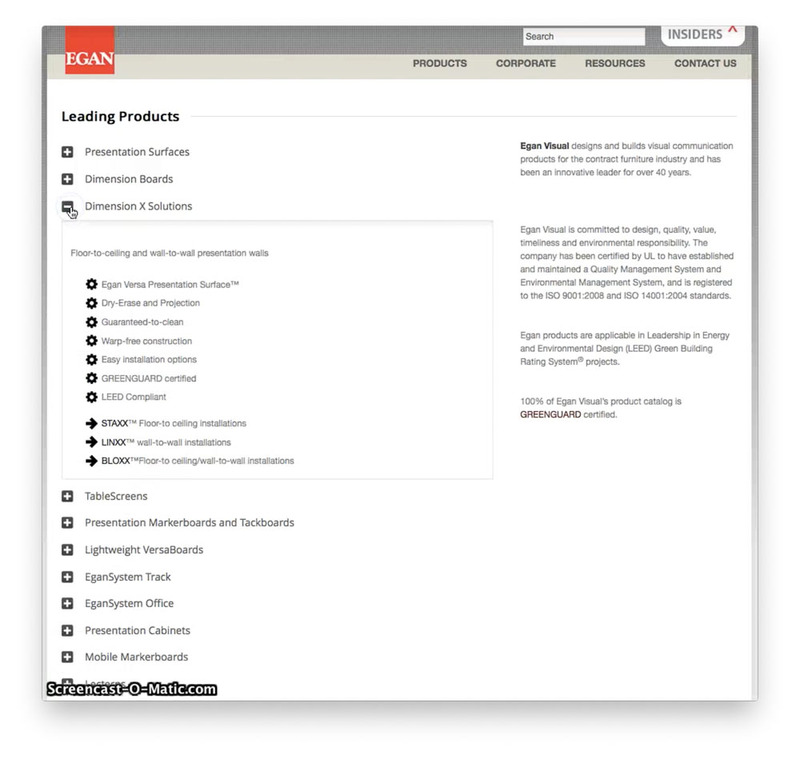 1 Pings/Trackbacks for "Egan.com RWD 2012 Gallery"